More than 40 years after debuting in All Star Comics #8, Wonder Woman was reshaped by legendary comics creator George Pérez and returned to the public eye in 1986. This updated Amazonian Princess met with such acclaim that Pérez's original six-month commitment to the title was extended--and extended--until nearly five years had passed. Working with artist Chris Marrinan, Pérez brought Wonder Woman to a new generation of readers--and to unprecedented levels of success. Now these treasured stories are available in an all-new trade paperback edition. 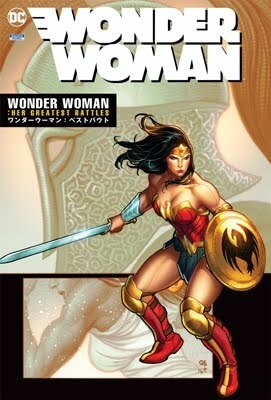 Collecting Wonder Woman #36-45 and Wonder Woman Annual #2, this fourth volume in the series features some of the most exciting moments of DC's modern age!